Snowy Egrets are some of my favorite birds. They are elegant, stunningly white, and easy to photograph. And being a larger bird, easy to observe. 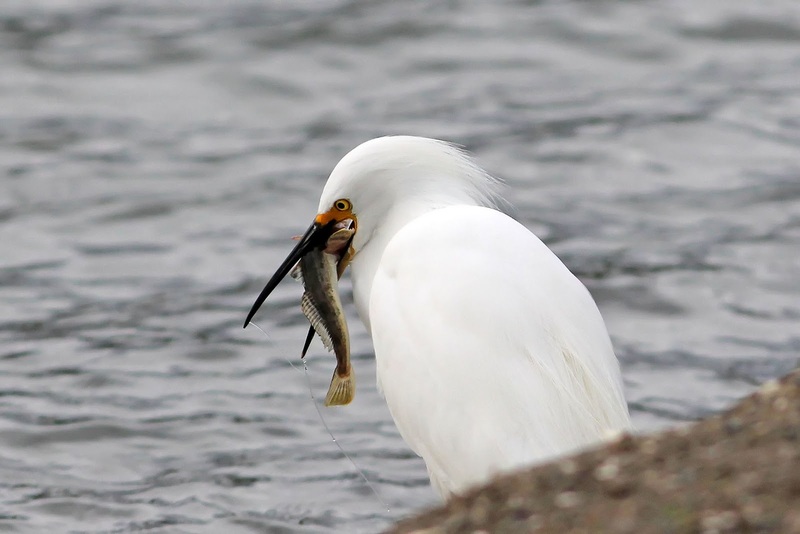 This Snowy Egret frequents the shoreline of Shoreline Lake in Mountain View, CA. Recently on a morning walk I noticed that it was feeding on a fish. 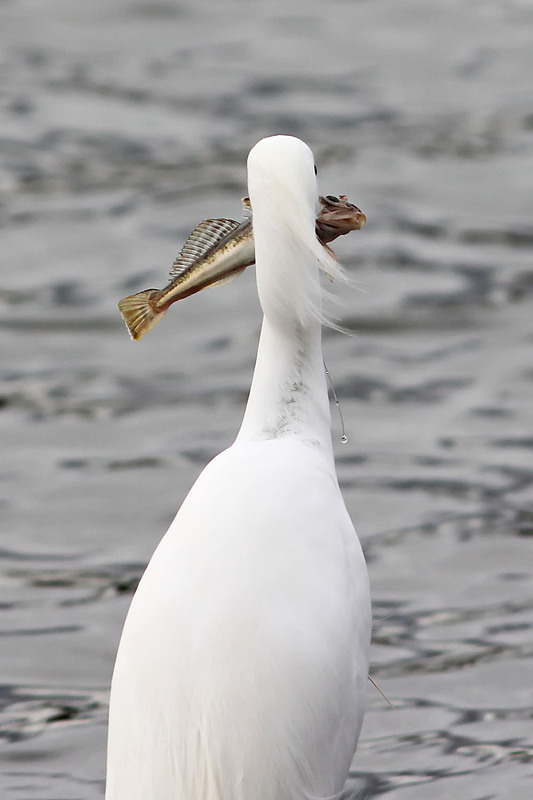 I watched for about 5 minutes as it struggled to consume the largish fish, trying different angles and flipping the fish around in its beak. Alas, I had to head to work so I was not able to see the outcome. 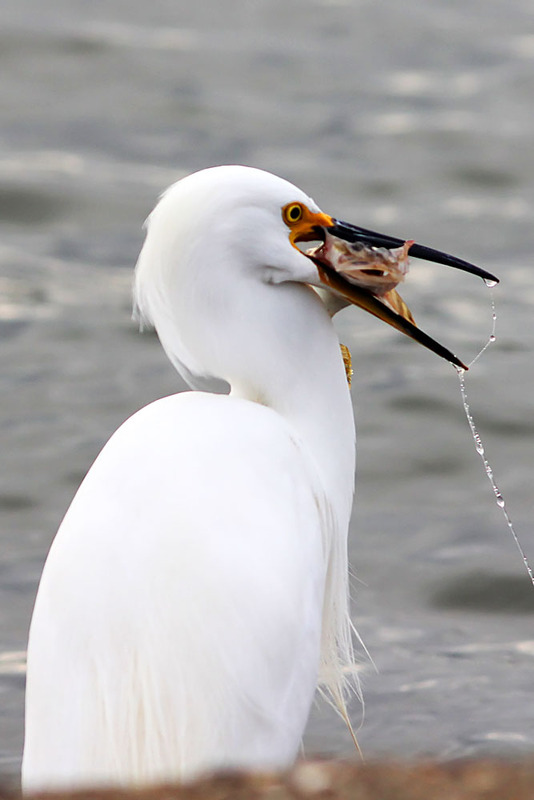 I know it was not good for the fish, but did the Egret succeed in swallowing the fish? 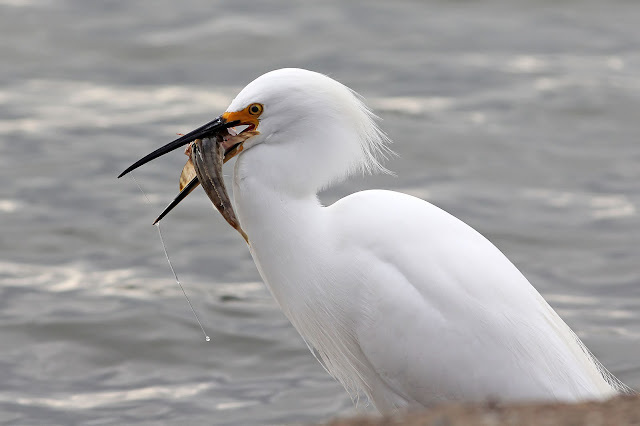 Snowy Egrets are common in shallow waters containing fish and shellfish in the southern 2/3 of the USA. In winter, their range pushes further south. Is the fish looking at me?